R4 card, Sky3ds+ or N2 Elite, which works on 3DS v11.4.0 and Switch v2.2.0? You are here: Home › Gaming › R4 card, Sky3ds+ or N2 Elite, which works on 3DS v11.4.0 and Switch v2.2.0? Both the 3DS Firmware and Switch Firmware have been updated in these days. Do R4 card and Sky3ds+ work on 3ds v11.4 and Can N2 Elite support both the new firmware of the 2 nintendo consoles? Here you can get answers. R4 card and Sky3ds+, do they support 3ds 11.4.0-37e/u/j? Yes, both the R4 3ds card and Sky3ds+ are working on the 3ds 11.4.0-37e/u/j after testing. The R4 card for 3ds supports ds games while the Sky3ds+ for 3ds supports 3ds games. Each of them can not work on the 3ds v11.4 to let you play both ds and 3ds games. So if you want to play the 2 version games, you should at least have a R4 card and a Sky3ds+. Then, which R4 card should you buy for 3ds 11.4.0-37e? Let me give you some advice here. The cheapest R4 card for 3DS v11.4: Ace3ds plus. It is only costing you less then 10 to play over 1000 ds games. 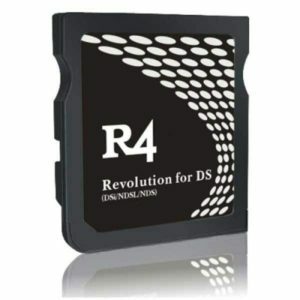 The best R4 card for 3DS v11.4: R4i 3ds sdhc rts. It is the best R4 card with the great ds game compatibility and full functions. The wood kernel R4 card for 3DS v11.4: R4i gold 3ds. It is the only R4 card with the wood kernel. N2 Elite, can it be used on 3DS 11.4.0 firmware? Yes, N2 Elite can play Amiibo toys on your 2ds/3ds/3ds xl/new 3ds console with 11.4.0-37 firmware version. It will not be patched by 3ds firmware. Because it is not hacking the 3ds but the emulating the Amiibos on your nintendo machine. So use it on your 3ds family device, you can ignore the firmware update. N2 Elite, does it support Switch with V2.2.0? Yes, without any doubt, the N2 Elite still work on the latest Switch v2.2.0 too. The firmware update will not patch the using of N2 Elite. Don’t worry. Add players to your friend list. Share screenshots from your Album to your Facebook and Twitter pages. Browse and shop for digital content on Nintendo eShop. Keep up-to-date with new games, eShop discounts, and promotions via News. If your Nintendo Switch is connected to the internet, your console will download the update automatically. Once the download is complete, you’ll be asked if you’d like to install the update. Be sure to save any game progress before you continue. When you’re ready to install the update, choose “update” to install. Your console will restart to complete the update. In conclusion, if you are still do not have the flashcard or amiibo emulator to play free games and enjoy free amiibos, you can buy in SKY3DSITALIA.COM, which is the Italian site and the official reseller of them. It supports cheaper price, shipping from EU, send order within 14 hours, paypal/credit card payment, game codes and many user-friendly service.